Feliz año nuevo!! Bienvenidos a 2017! Unfortunately, Dxxx and Nxxx, the two boys we were teaching, unexpectedly went out of town on vacation until the 23rd... And they had a baptismal date for today... But that's ok. As soon as they get back, we are going to get right back to where we were so that we can help them reach that goal. We have also been teaching their cousin, Sxxx, who is 8 years old. He loves coming to church, and normally goes with Nxxx and Dxxx and their mom. But our goal has been to teach Sxxx's mom, as well, as it isn't usually wise to baptize an 8 year old by themselves if no one else in their family is a member, because they won't have the support they need to remain active through their childhood and teenage years. We had gone a couple of times over the last couple of weeks, looking for Sxxx's mom, but we could never seem to find her. But this week, Elder Carrion and I finally found her! Her name is Bxxx, and we talked to her about her son and about God. She was kind of hesitant to talk to us. It seems that she's had experiences in her life that have caused her to form resentment towards God and towards churches in general. But as we taught the Restoration on the doorstep and testified of the power of the Book of Mormon, she seemed to open up a little bit, almost like she wants it to be true but can't bring herself to believe it. She is still rather doubtful, but we are hoping and praying that her heart will be softened and that we will be able to help her enter the waters of baptism with her son. We've also been doing a lot of contacting this week, and we have several potential investigators that we plan on teaching the coming week. We continue to visit Mxxx and Dxxx, but they still need to get married. They haven't quite found the conviction to take the necessary steps. It hurts a lot, but we might have to drop them as investigators soon if they don't seem to progress more. They have made lots of changes, and I am convinced that they will be baptized at some point in their lives. We continue to strive to do everything possible to prepare them so that when that moment comes they will be ready to make the special covenant of baptism. In other news, we had an amazing training meeting this week with Presidente Perez and Elder Levrino. It is a great blessing to have an area seventy that works in the same building as us, because he helps us and answers our questions all the time. Especially with his experience as a previous mission president, he has a special place in his heart for missionaries. On Thursday, we had about an hour meeting with Presidente and Elder Levrino in Presidente's office, and they gave us a training on how to work in the mission office, how to manage priorities, and how to use time wisely and plan effectively. Elder Levrino told us that he served in the mission office on his mission, and he shared some of the things that he learned during his mission, as well as during his time as a mission president. Presidente also shared some great tips and teachings on the importance of keeping our missionary purpose as our number one priority in everything that we do, and keeping the vision of what we want to accomplish. It helped us all a lot. It is a great privilege to have such close access to such righteous and inspired men, a mission president and area seventy! We have been very blessed. 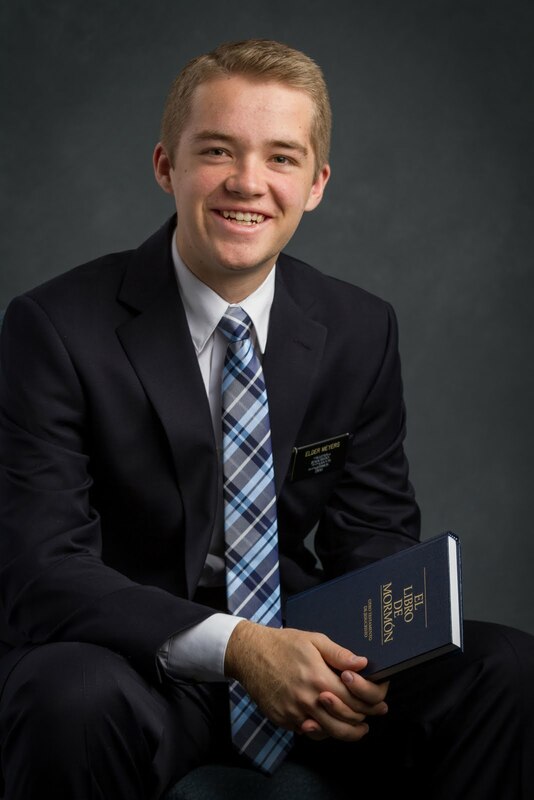 As I have been studying the Book of Mormon, I have come to realize just how often it speaks of the basic principles of the gospel (faith, repentance, baptism, and the Holy Spirit), and how often it speaks of preaching and sharing the gospel with others. It is in almost every page! As Joseph Smith said, "After all that has been said, the greatest and most important duty is to preach the Gospel." As we come to have a testimony of the gospel in our personal lives, we can experience even greater joy as we help others to develop their own testimonies of the gospel, as we help them to make changes in their lives and encourage them to follow their Savior Jesus Christ. That is where we find joy. Share the gospel! It will literally change your life. Our route out of Rosario heading back to Santa Fe took us right past the Monumento de la Bandera! It's a huge monument to the Argentine flag in Rosario, because that's where their flag was made. Pretty cool!